Sitting on the Floor. Thinking about Jerusalem’s ashes of yesterday and tomorrow. But please not tomorrow. Today is Tisha B’Av. I am well into my fast. Now is the time of the day when the stomach really starts to grumble. Mornings of a fast are okay. That is the time when the faster says to themselves: What is eating anyway? Eating is more habitual than anything. I even made it to my garden to do some work this morning. I am not observing an absolute fast this Tisha B’Av – literally meaning, the ninth of the month of Av. I’ve been drinking water and coffee throughout the day. But still, now that late afternoon is here, the hunger is sinking in. But I will dig in deeper. Mentally, I have not taken a fast from thinking deeply, and my troubled thoughts I allow to linger on this day, the saddest of the entire Jewish calendar. Last year’s memories of Gaza’s war with Israel linger. Last week’s agreement with Iran, and what disasters it could hold for the future of not just Israel but the whole world, weigh heavily on my mind. As it should with yours, dear reader, however or wherever this lovely summer day finds you. The outsider must see observers of this fast day pretty much as religious fanatics out of their mind. Over two thousand years ago, we the Jews had the Great Temple in Jerusalem. On this day, a bit over two thousand years ago, on this very same day a few hundred years before that, not one but BOTH Great Temples were destroyed. One built by King Solomon, then another one five centuries later, built by King Herod . Both destroyed. The city of Jerusalem ransacked, on the same day. Lots of other bad stuff happened to Jews on or around this day. Through the centuries, some of our greatest leaders were killed in and around this date. Through the centures Jews were expelled, from Jerusalem, from England, France and Spain, in and around on this date. Because of that, that is why we fast. And in the days leading up to the fast, we don’t have fun in pools. Or chow down on burgers at barbecues. At the height of the summer. HOW many years ago? But that was then and this is now. That has NOTHING to do with today. Seriously, get over it! My I am getting dizzy now. I’m a religious nut, right? You’re thinking this. But the older I get, the more the messages of Tisha B’Av have to do with today. In all honesty, I didn’t even know about Tisha B’av when I was a kid growing up in Staten Island. It was a summer holiday, and let’s just say that with an afternoon congregational Hebrew school education, it is safe to say that any Jewish commemoration that takes place in the summer is glossed over. Even not taught. I only learned about it from friends who went to Jewish summer camp. So when my own kids went to summer camp, I decided to observe Tisha B’av. You start the fast at synagogue sitting on the floor. Mourning brings you mentally to a lower, less comfortable place and you want to match this mood physically. So you sit on the floor. It is customary for the sanctuary lights to dim. Some bring flashlights or light candles to follow along in their prayer books. Then, in a mournful melody, a leader or a group of leaders chant the entire book of Lamentations. Eicha in Hebrew. The imagery in Lamentations is so very sad and graphic. There is no comfort. Gd has abandoned His Chosen People to be starved, stoned, burned, raped and humiliated by our worst enemies. There is no one to comfort them and no one to answer Jerusalem’s cries. There are mothers sitting in the ashes of what were once the glorious golden-paved streets of Jerusalem. The passage of babies suckling the empty breasts of their starving mothers always gets to me. I can hear the cries of the starving in the streets of the Old City of Jerusalem as the Romans attempted to starve them out from behind the walls. You can smell the burning and feel the heat. Fast forward a few centuries. Are the images that the author of Lamentations paints in the reader’s head any different or remote than those from the ghettos of Rome? Prague? Warsaw? The foes set upon our sanctuaries…Our steps were checked. We could not walk in our squares. Is it any different now? As Jews are afraid to openly show their Jewish identity and safely walk in the streets In Paris? In Brooklyn? Even Jerusalem? And the hardest lesson to swallow from the book of Ecclesiastes, is that the Jews of Jerusalem had no one but themselves to blame for their destruction. Gd turned His face from the because of their baseless hatred and pettiness towards one another. We were punished because, according to the author, we showed no regard for priests (we had priests, not rabbis during the time of the Temple) and no respect for tradition or our elders. And how is this different now? In an age where commitment to Jewish education falls to the bottom of priorities, upstaged by everything else from soccer to scouting? Where learning about Jewish history has been scrapped for a bare-bones Jewish education that leaves nothing more than some tutoring lessons to learn how to pronounce some transliterated gibberish for a kid’s big day on the bimah? I am hungry now. But the hunger has not made me melodramatic. I’m speaking from true experience here. And this is going widely unreported, why I don’t understand. Are we afraid to admit that in our comfortable complacency we are failing to transmit to the next generation their rich heritage? Ask your typical Jewish kid if they can name one Jewish leader from modern times or ancient times. Ask if they know what countries border Israel, Ask them what Hebrew letters spell basic words like Shalom, Shabbat, and even Moses, and you might get a lot of blank stares. Will these same kids, once they get off the bimah and for the most part, exit their Jewish education and find themselves in college five years, will they know how to answer in college to cries that Israel is a pariah of a nation, an apartheid state? Who will teach them their heritage and history then? And now, we are faced with Iran becoming legitimized as a playing power, as a nuclear entity, in the eyes of the world. You don’t have to read every page of this deal to know this deal is a bad one. Will the world wake up in time? The way I see it, those words could have easily been written today. Do Jews hold a Grudge Against Germany? edit: To add some more to this sentiment: My parents this summer visited Germany. My mom was hesitant to go but she went. They took a river cruise on the Rhine and had a wonderful time. And, everywhere they went, there was not a single place visited where their tour guide did NOT make a mention of the atrocities that happened to the Jews during the Holocaust. The tourguide was extremely compassionate as he discussed the plight of the German Jews with my parents. They would certainly recommend a trip to Germany now that they visited. A few nights ago, I had the pleasure of participating in some intense Jewish study with some very intelligent women in my neighborood. The study session was held in preparation for a nine-day mourning period in Judaism that happens each summer culminating with the fast day of Tish B’Av, or the ninth of the Hebrew month of Av. During this time, no meat is consumed. Religious women run lots of clothes through the wash before the nine days because no clothing can be laundered in this time period. Swimming is off limits as well. This time marks some of the saddest occasions in Jewish history, most notable are the destruction of the two Holy Temples – first in 423 B.C.E. and then 70 C.E. – that once stood on the Temple Mount in Jerusalem. The destruction of the Temples also marked the Jewish Exile from Israel, which ended only with the establishment of the modern State of Israel in 1948. So, why mourn something that happened millenia ago? The issue of how to make that feeling of mourning relevant today was the topic of our study session. I started to write this post a day before our study, but what gave me the chills is how our moderator opened the talk with another time of destruction in recent Jewish history: the Holocaust. Even if you didn’t have a direct loss in your family, it was a loss for the Jewish family as a whole, a loss that is still viscerally ingrained in the Jewish psyche today. We should also strive as Jews to make the loss of the Temples just as palpable. Because of Hitler’s infatuation with composer Richard Wagner, because Wagner’s music was the soundtrack of music played as Jews marched to their deaths in concentration camps, Jews shoud Never listen to or play compositions by Wagner. I held onto these notions a for a long time, including during the summer of 1989, when I spent a month in Israel volunteering on a kibbutz in Israel’s northern region. To my surprise, many of the other volunteers were not Jewish kids; most were European. To my further surprise, many of them were German. I never knew any Germans before this encounter. As I got to know them, I found them to be gentle and kind. They also had a thirst for learning all they could about Jewish culture, Hebrew, Jewish holidays – anything Jewish they could get their hands on, they wanted to learn about. I asked them – why? Their explanation: Germans of their generation felt an enormous sense of guilt as to what happened in their country, and that guilt was unjustified. They wanted to learn about Judaism, because, at the time, there were very few Jews in Germany. Still, I expressed my reluctance to ever visit their country. Instead of being angry with me, their reaction was one of sadness. Over 20 years have passed and I still struggle with my feelings about contemporary Germany. But just in the last week, there was media coverage about Jews and Germany that is making me reconsider. The other evening, I listened on NPR the unthinkable: that the Israeli symphony was in Germany playing Wagner compositions. Former Soviet Jews and young Israelis are settling in Berlin. There, they enjoy a thriving cosmopolitan culture with nighclubs, art galleries and community centers – all with an Israeli twist. Another one of my brilliant neighbors, Athene Goldstein, returned from a visit to Germany, where her son-in-law, a professor, was delivering a talk on Jewish history in Germany. There, she also visited a museum in Berlin dedicated to Jewish culture. From her working knowledge of German, she could tell that none of the museum’s visitors were Jewish, but again, just as I experienced on that kibbutz, there was that intense curioustiy of wanting to know about Judaism. Is the fact that the Jewish population is growing in Germany a sign that Jews are forgetting their past? Or is it perhaps, maybe the best way to deal with the memory of the six million lives lost is to replace what was lost by renewing life there once again? It’s the middle of the afternoon and it hasn’t quite hit me yet, that my two oldest children left this morning for a month of sleep-a-way camp at Camp Ramah in Canada. Even though we packed them up, four duffel bags worth, handed their passports over to a young capable looking bus counselor, and hugged and kissed them goodbye. After all, I say goodbye to my kids every morning for the entire school year – sometimes with a kiss, sometimes not. It’s tonight that will be hard. When they don’t come home. When there will be two less at the dinner table and when my daughter’s bedroom will be empty. When my oldest son won’t be in the top bunk and my youngest son will have no one to fight with or talk to all hours of the night as he usually does. Then it will hit me. Tonight will also be hard because tonight begins one of the saddest days on the Jewish calendar — the ninth of the Hebrew month of Av, or Tisha B’Av. This is the first blog entry I have mentioned I am Jewish. I don’t intend to make this a blog about Judaism, or write this blog only for Jews. But because I am Jewish, and a Jewish educator, Judaism may come up from time to time. And if it helps to lift some of the mystique of what Judaism is beyond Hava Nagila and Hanukkah, all the better! What makes this day a sad one? On this date in the Hebrew Calendar many tragedies fell on the Jewish people -including the destruction of the two Temples – one in 586 BCE, or BC and the other in 70 CE or AD by the Romans, followed by a 2,000 year exile of the Jewish people. Heavy, sad stuff. Jews observing this solemn day hold a fast from sundown to sundown, starting tonight, and read from the Book of Lamentations. To demonstrate the sadness, many sit on the floor. I can just imagine the scene at their arrival at camp: my kids will have to get off the bus, have a screaming, squealing joyful reunion with friends, and then get ready to fast. 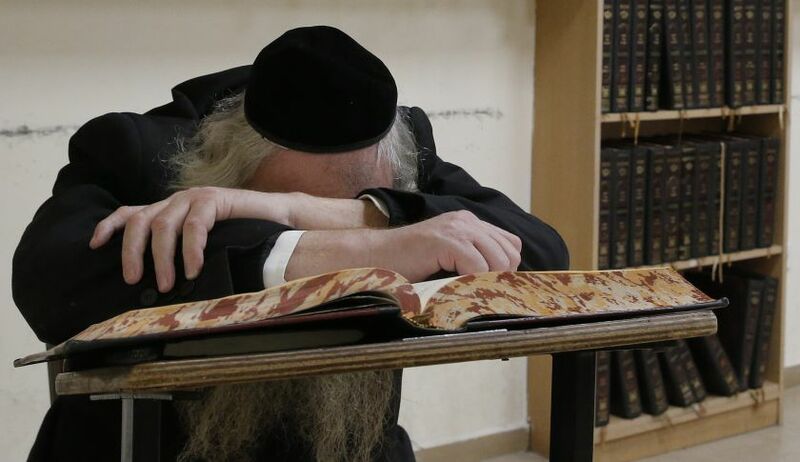 Because this holiday falls in the summer, when school and Hebrew school is not in session, many Jews don’t know much about it. Unless, you go to a Jewish summer camp. Tish B’Av has claimed its right in the Jewish religion as a very campy holiday. A camping experience that begins with a fast to commemorate the saddest moments in Jewish history probably does not sound like a good time to the outside world. But my kids live for their time at Camp Ramah. They talk about all the fun they have there, the friends they make and the songs they sing, the whole year long. They count down the days until they return, to live Jewishly every day with friends they only see this one month a year. Unlike most who will be fasting alone or at work tomorrow, in the supportive community of camp, I know that my son and daughter will find encouragement to either fast the whole day, or the wisdom from counselors and staff who will determine it’s time to get something to eat or drink. Next, I will write about the good points and adjustments of having two out of three children away at sleep-a-way camp. And to all of you who are observing, an easy and meaningful fast.